The history of Freemasonry in British Columbia & Yukon is inseparable from the records of Victoria-Columbia Lodge No.1. Victoria-Columbia Lodge No.1 was first established as Victoria Lodge No.1085 on March 19, 1859, under authority of a warrant issued by the Earl of Zetland, Grand Master of of England. It was the first Masonic Lodge to be constituted in the vast Western Domains, first known as New Caledonia, and the Crown Colony of Vancouver's Island. Those domains now form the Province of British Columbia & the Yukon Territory. The wording of the original charter remains unknown, as records indicate that it was returned for correction to the United Grand Lodge of England (UGLE) Grand Secretary. The official Ceremony of Constitution and Installation of Officers took place in Victoria on August 20th,1860. Victoria Lodge No.1085 was the only Masonic Lodge in this part of the country from 1859, until a second English Lodge, Union Lodge No. 1201 was constituted on December 16, 1861 in New Westminster. The area's third Lodge was established when the Grand Lodge of Scotland granted a Charter to Vancouver Lodge No. 421 on October 20, 1862. English Past Master Robert Burnaby (the City of Burnaby was named after him) acted as one of the Installing Masters at the constitution of Victoria Lodge No.1085 in 1860. He applied for Affiliation, and became a member of the Lodge on September 27, 1860. In 1867, a District Grand Lodge was formed, and Burnaby was appointed as District Grand Master. Circa 1868, he started a tradition, whereby the Officers of Grand Lodge, whenever possible, installed the Officers of Victoria-Columbia Lodge No.1. Installations are customarily held on the 1st Saturday of the new calendar year (an exception occurs when the 1st Saturday falls on Jan 1st, in which instance it is delayed to the second Saturday). The honoured tradition of Grand Lodge Officers performing the Installation passed in 1871 from the District Grand Lodge, to the Grand Lodge of British Columbia (later known as the Grand Lodge of British Columbia and Yukon), and that tradition remains highly prized by the Brethren of Victoria-Columbia Lodge No.1 to current day. Grand Lodge participation at Installations not only includes the Grand Lodge of British Columbia and Yukon, but also the Grand Lodge of Washington, and since 1997, the Prince Hall Grand Lodge of Washington and Jurisdictions. The Installation Ceremony also draws visitors from our sister lodges, as well as Brethren from other Jurisdictions around the world. On June 2, 1863 Robert Burnaby, assisted by brethren from Victoria Lodge No.1085 and Vancouver Lodge No. 421, laid the cornerstone of the Congregation Emanu-el Synagogue at Pandora and Blanshard Streets in Victoria. That building is revered as the oldest synagogue on the west coast of North America, and the oldest synagogue in continuous use in Canada. With Emanu-el's 150th Anniversary approaching in 2013, all Freemasons across Canada (particularly those of Victoria-Columbia No.1!) can stand proud that Freemasonry continues to embrace and welcome men of all religions to our fraternity. In order to fill a number of vacant numbers in its registry, The United Grand Lodge of England changed the Lodge designation to Victoria Lodge No.783 on September 29th, 1863. On Monday, October 28, 1867 a fourth British Columbia Lodge was constituted under a Charter granted by the UGLE. British Columbia Lodge No.1187 was also located in Victoria, and Worshipful Brother Thomas Harris, a Past Master of Victoria Lodge No.1085 was installed as its first Worshipful Master. The Grand Lodge of British Columbia was formed on October 21st,1871, and on December 26th of that same year the first Grand Lodge Officers were installed. The constituent Lodges were then re-numbered with Victoria Lodge No.783 UGLE becoming Victoria Lodge No.1 GRBC, and British Columbia Lodge No.1187 UGLE becoming British Columbia Lodge No.5 GRBC. Both of these Charters are displayed in open Lodge at every meeting of Victoria-Columbia No.1. In 1877 Masonic memberships were flagging; there were no new candidates in sight and attendance at meetings became exceedingly slim. A special committee meeting of Victoria Lodge No.1 and British Columbia Lodge No.5 made a recommendation that the two Lodges should consolidate. The “ Red Letter” day was April 3rd, 1877, at which time the two previous entities became Victoria-Columbia Lodge No.1 GRBC. The letter of authority covering this consolidation, and the Program for that meeting, have been suitably framed and are also on display at every meeting of Victoria-Columbia Lodge No.1. On September 12, 1925, Worshipful Brother David.S.Mowatt, accompanied by his officers, the District Deputy Grand Master, and a number of the Brethren, paid a fraternal visit to Port Angeles Lodge No.69. F&AM, Grand Lodge of Washington, which has become our Sister Lodge. Fraternal visits have continued, with very little exception, since that time and are greatly appreciated by all involved. -Henderson Lodge No.84, GRBC, was constituted on July 16,1920, with W.Bro. 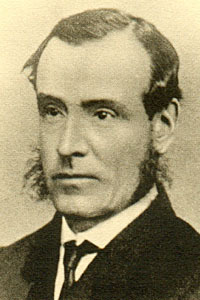 William B. Henderson, a serving officer of Victoria Columbia No 1, being largely instrumental in its formation and becoming its first Worshipful Master. Although not founded by Victoria-Columbia Lodge No.1 officers, Malahat Lodge No. 107, Mill Bay B.C. (Constituted on July 16,1924), chose to practice the Emulation Ritual as a result of the generosity of Victoria-Columbia Lodge No.1 in assisting with the acquisition of their original regalia. -District No.21 Grand Lodge of B.C., to promote visitations between the Lodges in that District. More recently, a Past Master’s Jewel was donated to Rainbow Lodge No.180 GRBC, located at Port Hardy B.C., when it was constituted on July 22,1972. W.Bro. Robert Fox, a Past Master of Victoria-Columbia Lodge No.1, was very instrumental in the formation of this Lodge and is shown as a Charter Member. There have been many firsts for Victoria-Columbia Lodge No.1 over the years: One of these was the Centennial of the Lodge celebrated on March 19,1959, commemorating the 100th Birthday, first as a constituent Lodge under the United Grand Lodge of England, and since 1871 as a constituent Lodge under the Grand Lodge of British Columbia (and its subsequent name change to the Grand Lodge of British Columbia & Yukon). On that auspicious occasion, Most Worshipful Bro.Kenneth Reid, Grand Master, was received by Worshipful Master, W.Bro.Walter Lock and was invited to raise his son, Bro. Ronald. D. Reid to the sublime degree of a Master Mason. Also on that occasion, W.Bro.Lock presented the Lodge with a sterling silver set of Square & Compasses, suitably engraved, which are used on the V.O.S.L to this day. In 1964, an Annual Game Dinner was established. This special event proved to be a tremendous success with Brethren coming from near and far to partake of the "fare of nature," and share with us in the Game Dinner ritual & accompanying festivities. The dinner was held every year until 2000, when it went into a 14-year hiatus. Sold-out 2014 & 2015 events have re-established the dinner as a Masonic highlight in the Victoria area, and future planning is well on its way! Another annual event, worth noting, is the Ladies Tea held in November. The Ladies Tea provides an opportunity for the Brethren of the Lodge to host both their own spouses, and the widows of members who have passed to the Grand Lodge above. With the thought of according due respect to the widows of our departed Brethren, commencing in 1990, the Lodge has been presenting a Widow’s Pin to each of these very special ladies. In 1964 the Most Worshipful Bro.James H. McKergow, Grand Master, appointed R.W. Bro. John T. Marshall, a Past Master of the Lodge, as Grand Historian. In that capacity R.W. Bro Marshall compiled and wrote a book titled” “History of Grand Lodge of British Columbia A.F. & A.M. 1871- 1970 “ and published in 1971. This is a classic work and should be a basic need for the library of every mason in this jurisdiction. In 1996, Victoria-Columbia Lodge No.1 established a Mentorship Committee to investigate the possibility of developing a Mentorship Programme for Lodge use. This committee assembled a program designed primarily to assist in the assimilating & education of new members into both Victoria-Columbia Lodge No.1, and Freemasonry in general. In 2002 this Mentorship Programme was adopted as a recommended learning tool by The Grand Lodge of British Columbia & Yukon A.F. & A.M., and in 2003 The Grand Lodge of Washington F. & A.M. made a similar recommendation to their Brethren; the Mentorship Programme is now fully implemented in our Lodge. Victoria-Columbia Lodge No.1 is proud of its history and the antiquity of its regalia. The two Mahogany Columns used by the Senior & Junior Wardens were purchased from the firm of R. Spencer in London England for the 'princely" sum of $7.00, and and had to be shipped “ around the horn,” along with many other regalia items purchased at the same time. Of particular note is the original Volume of the Sacred Law (Bible), first used by Victoria Lodge No.1085 in 1859, which is on display in the Lodge’s display case, located in the Banquet Room of the Freemason's Hall. The Lodge is dedicated to maintain the principles of Freemasonry, pure and unsullied, and by precept and example, its officers and brethren will ever endeavour to uphold the honour and dignity of our ancient craft. Robert Burnaby, first District Grand Master, and first Immediate Past Grand Master for the Grand Lodge Of British Columbia and Yukon laid the cornerstone as a Mason for the Emanu-el Synagogue in Victoria. This building is the oldest continuously operating synagogue in Canada. What are "Ancient Free and Accepted Masons?" "Lodges and Grand Lodges whose charters' roots derive from the United Grand Lodge of Ancient Freemasons of England, the Grand Lodge of Ireland, or the Grand Lodge of Ancient Free and Accepted Masons of Scotland, use the expression "AF & AM"
Those Grand Lodges that don't use the appellation "Ancient", claim descent from the "Grand Lodge of Free and Accepted Masons under the constitution of England" during the period from 1717 until 1813. This English Grand Lodge was constituted from four lodges on June 24, 1717. A later Grand Lodge in England, styling themselves Ancient, labelled the first group "Modern" although today the preferred term is "Premier." The "Moderns" and "Ancients" united in November 25, 1813 to form the United Grand Lodge of Ancient Freemasons of England [now styled the United Grand Lodge of Ancient Free and Accepted Masons of England]."